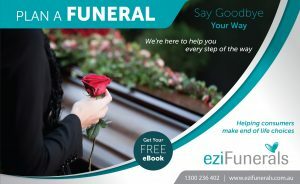 eziFunerals is Australia’s premier ‘funeral go to brand’ for consumers and the largest online provider of FREE funeral planning services in Australia. Here is a summary of who we are, what we do and why we are the BEST ‘funeral go to brand’ Australia wide. eziFunerals is Australia’s most trusted funeral advocate that helps consumers and independent funeral homes connect and collaborate anywhere, anytime. We understood what people are going through, and the challenges they face following the death of a loved one. We are an Australian-owned and operated company, and are not a subsidiary of any other corporation. We are not part of any other funeral company. We do not conduct funerals, and WE DO NOT receive commissions from Clients final decision-making. eziFunerals operates Australia wide, including New South Wales, Victoria, Queensland, Western Australia, South Australia and Tasmania. Our mission is to empower consumers and to provide independent, transparent and trustworthy information, so consumers can understand their funeral rights, make informed decisions and get the right funeral at the right price. 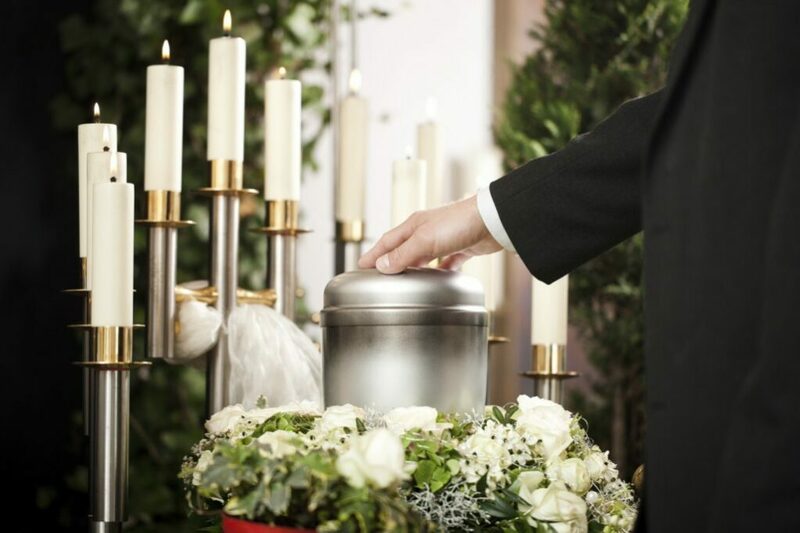 eziFunerals provides a simple and easy funeral solution to three common concerns for consumers. 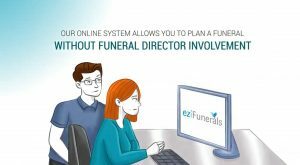 eziFunerals provides consumers with an independent and transparent online platform that guides people through the whole funeral process. eziFunerals works for the Client, not the funeral home, allowing consumers to focus on what’s important rather that making arrangements in a sales focussed environment. 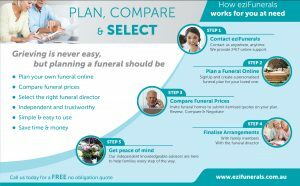 eziFunerals can save family thousands of dollars on average compared to contacting a funeral home direct. Our customers include consumers of funeral services, independent funeral homes, aged care service providers, employer groups and life insurance companies who require access to independent and unbiased third party advice. We are committed to treating our customers with professionalism, dignity and respect. Our advisers and member funeral directors are equipped with the compassion, knowledge and resources to help clients and their families develop personalised funeral services to fit their budgets and personalities. Our member funeral directors work for consumers, and not the shareholders of the large ASX funeral chains (InvoCare and Propel Funeral Partners), to ensure every last detail is resolved in advance or at the time of need, depending on the client’s wishes. 24/7 assistance to discuss funeral planning issues with consumers, including choosing a funeral home, finding a cemetery, and purchasing a coffin. an online marketplace that helps consumers make informed choices, obtain quotes, compare costs and connect with independent funeral homes. online planning tools and guides including at need and pre-need funeral plans, advance care plans, wills to record important end of life information for when your family needs it most. eziFunerals advisors will be available 24/7 throughout the funeral process. Advisors will liaise with the funeral home about the client’s personalised funeral plan on their behalf and provide pricing assistance. Pricing information will be provided to clients given in an easy-to-read format. Advisors will help the family compare prices of all funeral-related services and connect with an independent funeral home of their choice. eziFunerals online funeral platform is FREE and simplifies and streamlines the funeral process by empowering consumers to plan and document their funeral needs and get itemised quotes, thus sparing families from having to make difficult, costly decisions while they are grieving. With eziFunerals, you’re empowered to make informed decisions about all the funeral arrangements. You’re in total control and get to create your own funeral plan and receive quotes from multiple funeral directors in a stress free and sales focused environment. Most, of all, you get to save time and money because funeral directors are competing with each other to win your business. Unlike other funeral planning sites, we do not get involved with the consumers final selection of funeral director. We DO NOT receive commissions from funeral directors. Learn more about eziFunerals today!